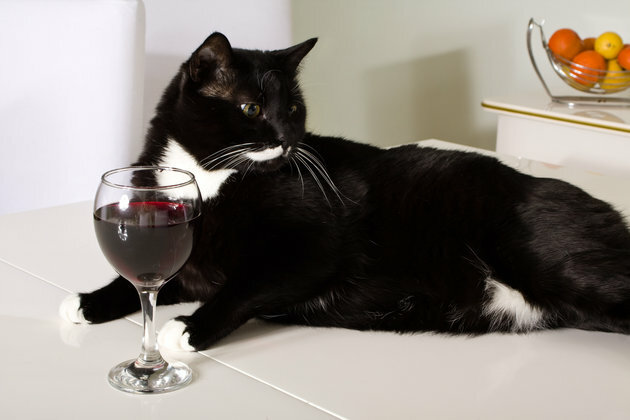 Cat Wine - Make your own catnip wine! Cat wine buying guide, general information, tips on improving flavor, and more! Making catnip wine is really simple. There are only a few ingredients and it’s easy to make at home. The total time to make catnip wine is about 20 minutes. The advantages of making it at home are that you can use quality ingredients if you prefer, make it strong or weak, don’t need to use any coloring, don’t need any preservatives, don’t need added salt. 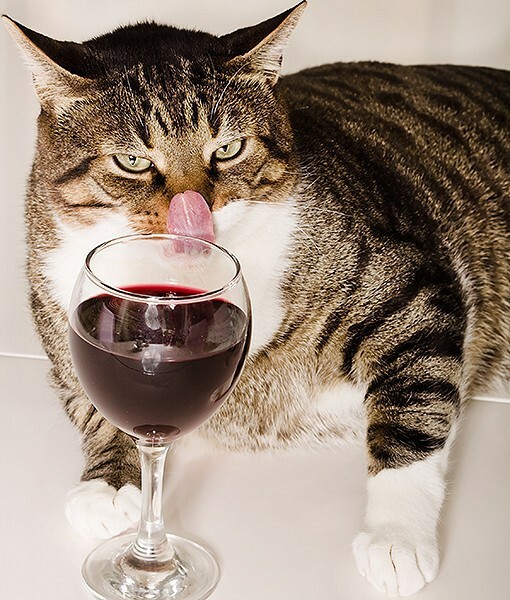 There are many different types of cat wine available. I’m going to explain a little about some of the most popular brands and differences in ingredients. Bottles tend to cost between about $7 – $15 each depending on the size. *If you are worried about your cat not liking cat wine, you might want to look into one of the brands with added flavoring ingredients, such as salmon oil, or buy salmon oil and add it yourself. One of the original cat wine brands. It’s made in Colorado and is organic. This catnip is infused with salman oil, which means there is a better change finicky cats will like it. 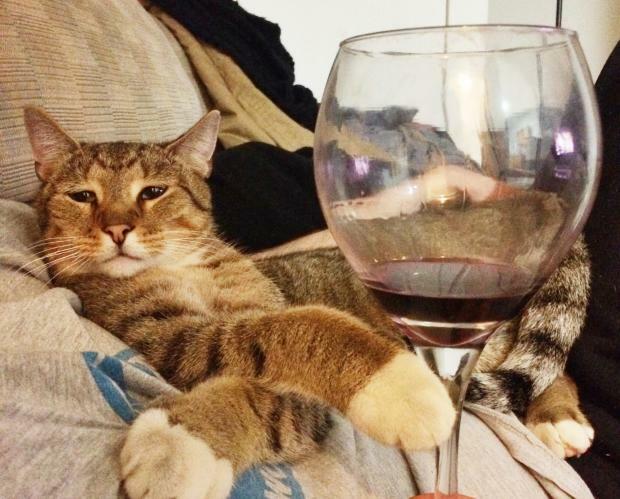 Pinot Meow is a well established cat wine. It’s made in Colorado by the same brand that makes MosCATo, and is also organic. How does cat wine work? What are the effects? Cat wine’s active ingredient is catnip. Catnip activates the cats sensory neurons. It acts similar to an artificial cat pheromone. The effects are not similar to alcohol, but are actually closer to marijuana or a psychedelic. Often it makes cats energized and playful at first, and then they will be calm and relaxed afterwards. Is cat wine safe? What if my cat drinks too much? 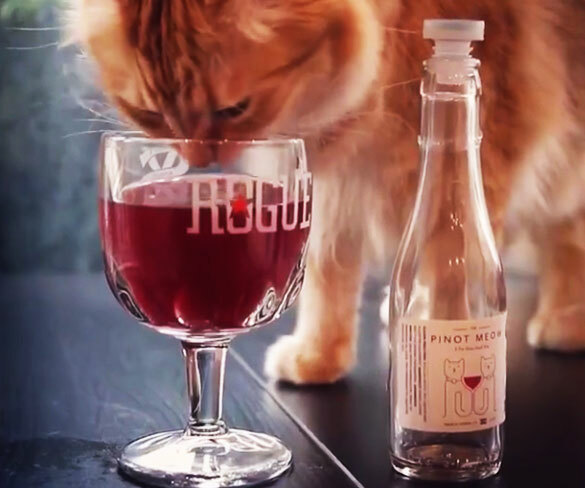 Cat wine made from catnip, without alcohol is safe. It’s very unlikely that your cat will be harmed from cat wine. The most likely outcome of your cat drinking too much is that it will throw up. Different brands of cat wine have different amounts of catnip, meaning some are stronger than others. Follow the directions that come with your cat wine to make sure your cat has a good time. What if my cat doesn’t like cat wine? You can try adding some flavoring to it to see if your cat will drink it. Suggestions for flavoring include adding a few drops of salmon oil or fish oil, or adding tuna water. Don’t add sugar to it, cats can’t even taste sugar, so it it won’t help (Read: Strange but True: Cats Cannot Taste Sweets). 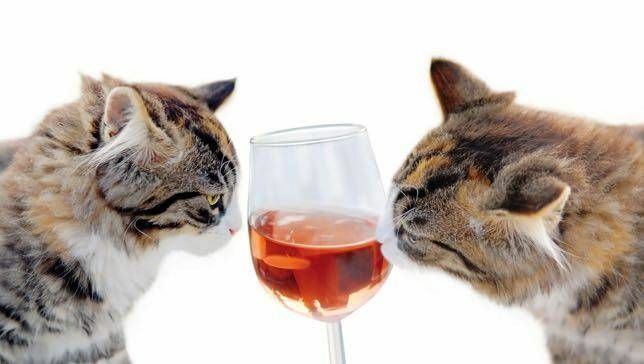 Does your cat like cat wine? Tell us!